If you've written a book, or if you're considering writing a book, then you're probably well aware of the phrase. The money's not in the book. And maybe you're even a little worried about whether it's financially worth your while to write your book? Well, unless you are already well-known, or you have a big email list, then it's true that you won't make a fortune from your book. Or at least from your book directly. Most authors use their book to bring them other business -- and creating online training is just one way to add an additional source of revenue onto any writing or client income. As a coach, consultant or expert, or as a writer and blogger, you may not realise, but you're sitting on a mountain of content that you can repurpose. And repurpose for profit, not just for content marketing. That content can be turned into a successful and highly profitable online training course. The online training market is continuing to go up and up. In the last year alone, the online training market grew from US$56.2 billion in 2014, to an almost double US$107 billion halfway through 2015. Every year holds more promise for learners to turn online for their educational and training needs, and for you to get on board with this trend and create online training as an additional revenue stream in your business. But how do you go about making the transition from author and expert, to expert and teacher? And how do you repurpose everything you have in writing into a structured, online training course that sells? I doubt you need to be convinced about the benefits of creating online courses, but in case you do, we've listed the four main reasons why you should consider doing it now. Repurposing your content for online training is a great way to add another revenue stream to your business. And it can be 'passive' revenue at that. Just like your book, once created it can be sold many times over, your courses can work in the same way. 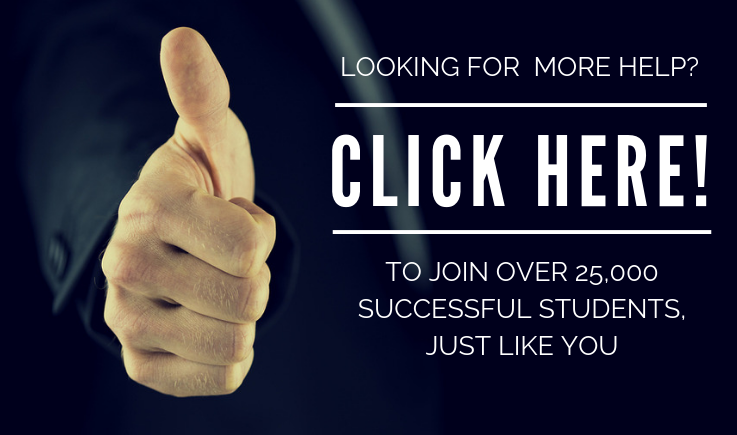 The growth in affordably-priced, self-paced learning has been nothing short of phenomenal, and you can be part of it. You're repurposing your content which means you have more content and more pages on your website. This is great for your SEO and more traffic means more customers. If you host your training on other sites, then you're taking advantage of their traffic to bring new customers to you. All of this helps to build your business and your brand. Multi-channel marketing is the second core piece of Content Strategy. By providing content that your audience is searching for in more places, and through different media, then you’re opening up the potential for more people to find you. Delivering your message in different ways, over time, not only increases retention and impact, but it gives you the chance to describe what you're doing from several angles. Saying something two different ways is more than twice as good as saying it once. You might be creating training for any one, or more than one, of these reasons. But do be clear before you start because it will affect the goal of your training -- what business outcome you are aiming to achieve; and it will affect how much time, money and resources you invest as you create and promote your online training. I don’t need to tell you the importance of research – it’s your area of expertise so you know that you need to keep up to date with your topic. But what's different when you enter the online training market, is that you need to know, not only your topic, but which parts of what you know are the parts that people want to learn more about -- and are prepared to pay for. If you've been running live training, or selling books, then you've probably been through this learning curve and you know what drives readers to pick up your book and keep on reading. If this is your first foray into selling your expertise, then make sure you take the time to research what is selling. Whether it's from your paid content, like your book, or live workshops, or work with clients, or your free content like blog posts, then research what it is that readers are asking. Go through the comments on your blog, likes and shares on your Facebook page, feedback and reviews of your book and look for trends in the questions that people ask, and the feedback they give you. Put a shout-out on your blog, ask your email subscribers, or post a question or a survey on Facebook or twitter to ask your audience what they are struggling with, or what questions they have about what you teach. It's better to listen to questions, or ask for frustrations because hypothetical predictions of what people say they want are not always an accurate reflection of what they really do want. Testing is so easy when you run part, or all, of your business online. Test different topics by creating landing pages to advertise different online courses that are 'coming soon'. Ask people to sign up for a waiting list and track how many people visit the page and how many convert to that waiting list. That conversion from casual visitor to subscriber is a good test of which topic is most in-demand. Keep the pages as similar as possible, with only the topic varying, so that you reduce the factors that could be affecting sign-ups. And, whatever topic you choose to go ahead and make that course about, make sure it is in the zone of ‘hot’ skills, practical information that people actually need, and something you are passionate about and a topic in which you have experience and expertise. When you’re making the switch from book to course, or from blog to course, treat it like every other project you’ve ever completed successfully: set clear goals. Goals for you, and goals for your learners. Decide whether you are doing it for profit, or exposure, or to supplement what you do with your existing clients and customers, and this will give you direction for the content and your marketing. Review the section above, and decide which is your most important goal. And then decide on the goal for your customers, learners or students. You need to be clear about what someone will learn, or what they will be to do differently, so that you can market your course effectively. How will you teach them? You can take the same topic and spin it many different ways: through different media, or with a different approach to learning. Some courses are very practical and driven by activities, and others are knowledge-based, driven by information. Decide which yours is going to be so that you know in advance what content you need to create. A great course will cover both. Don't be tempted just to tell people what you know; make sure there is an opportunity for the learners to practice and, if it's appropriate, for you to give feedback. When you’re thinking about your learning outcomes, it’s important to remember that your outcomes also act as marketing hooks. These learning outcomes need to include action words that catch potential customers attention, and encourage them to engage with your product. As an author, you probably already have these learning outcomes -- you just don’t call them that. You call them sections, chapters, headings and subtitles. 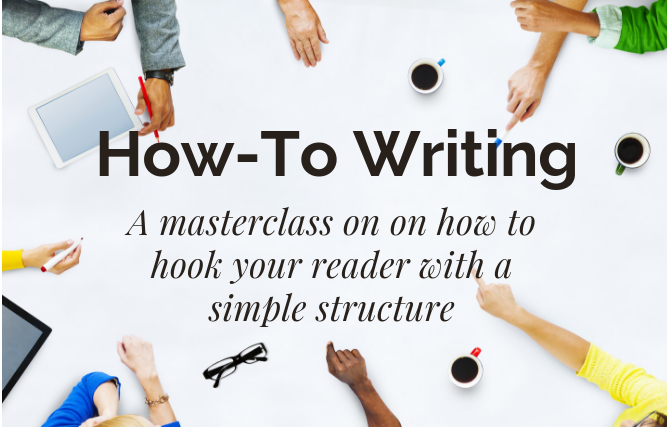 You've already spent hours agonising over the structure, which means your job now is so much easier. The cheat's way to reworking your book or blog into an online course, is to keep it exactly as it is. However the great way (which we advise of course! ), is to rework it, starting with those learning outcomes. I've learned over the years of delivering online training, that it's better to be specific rather than try to put everything into one course. It's better for your students who can go deep with what they need, and it's better for your marketing because a one-time student can become a many-time student. And so you may find that it's better to take topics out of your book and make a few, separate courses. Each section of your book is a learning outcome for a ‘module’, or even for a whole course. And then your chapters become the sections or modules of your course, with each sub-heading a logical step to achieve the outcome. Teaching online is different to teaching through writing. Where you may have used case studies or stories in your book, for example, you may want to add in some audio interviews. And give practice activities, or implementation advice -- what to watch out for -- that might go into more practical detail than you did in your book. In an ideal world, your training sequence would follow a logical flow that leads your audience into increasingly more complex areas of training. Each topic covered should build on the previous, and shouldn't require knowledge from topics further into the course. In reality, however (and more so than with a book) students tend to flick between videos of an online course, picking out what they think they need to learn. Make sure you plan for this, and if it's necessary to repeat something (briefly) or refer back or forward to other sections of the course, then do that, even if it feels a little repetitive to you. By now you have the skeleton of your online course and all you need to do is fill in the gaps. Fill in the gaps in a way that recognises different learning styles. We all learn in different ways, and your training will be more successful, with better feedback and more referrals, if you accommodate that in your delivery. Fleming’s VAK (or sometimes VARK) model of learning is one of the most widely accepted models for understanding learning styles. Fleming categorises people as either Visual, Auditory, or Kinaesthetic learners. And posits that all these learners require different delivery to learn to their full potential. Some people can be an equal blend of all three learning styles, although most are dominated by one in particular. For Visual learners, it’s important to incorporate pictures, images, graphs, videos and charts. Auditory learners take in information best through the medium of listening, speaking and discussing. While for Kinaesthetic learners, it’s essential to include role-plays, games and exercises where they can put their skills into practice in order to learn. A good training course will work for everyone by blending the learning styles and driving home the key learning outcomes through several different media. Remember Seth Godin’s words about repetition using different media to drive home the message? This applies here too. As you’re going through your existing content (especially if it's written content), then plan how to adapt it for the different learning styles as you create online training. Make notes of where you can add activities for kinaesthetic learners, or use charts to help visual learners consumer quickly. Detail it with a story or add some vivid description. And provide and audio as well as a video version of the training. Some learning outcomes will lend themselves to different deliveries, and others you’ll have to make your own decision on what is the best way to deliver it, or one that your authoring software allows. As long as the lesson is delivered in an appealing way that demands attention, with a beginning, a middle, and an end, is well-structured, and is centred on relatable information, than your learner will be able to implement the result. Most courses will be delivered, at least in part, with video. Try to find a balance between education and entertainment, as described by Jeremy Vest. Add interest (and entertainment!) with quizzes, graphics, gifs, and visuals. Above all, be natural and talk as if the student was standing in front of you. The surge in the online training market has seen a proliferation of course-authoring software. Some are better than others; some are easier to use than others; and some are more affordable. The software you decide on will depend on your budget, your technical experience, and what kind of structure and content you plan to create. If you’re a coding expert or a video wizz, and feel comfortable doing more of the tech stuff yourself, you'll have more flexibility in terms of the delivery and the shape and structure of your course. But for most of us who can feel overwhelmed with the tech (me included! ), it's better to keep it simple. Starting with software that simply captures your screen as you walk through a presentation, or demonstrate something on your screen is probably the easiest place to start. Your choice of software will depend on whether you have a PC or a Mac computer -- go for Camtasia if you have a PC, and ScreenFlow if you have a Mac. And check out this video demonstration of exactly how to create a screencast video in under nine minutes. If I can do it in under nine minutes, you have no excuse not to start right away!! If you want to take things up a notch and create high quality, engaging courses, then Adobe Captivate is well worth a look. Automatically mobile-friendly by detecting the device the student is on and sending the right version of the video, it allows more creative video training than the simple screen capture. You can insert animations, graphics and quizzes into your courses, and it comes with a library of images and themes. As expected with Adobe software it comes with a bit of a price-tag -- $29.99 at the time of writing, although students and teachers (that's you!) can buy a one-off licence at $299 which makes it comparable to the other video creation choices. Articulate Storyline gets points for being an easy-to-use way to create interesting videos. You can mix and match images and animated graphics and a very nice feature that sets it ahead of other software is the ability to create 'scenarios'. Students can get custom feedback depending on the choices he or she makes inside the training content. It's definitely more interesting than the standard talking-head video! It has perhaps a little less mobile adaptability than the Adobe product, but still good. Pricing is the main drawback, with a retail price of close to $2,000 it's a big commitment if you're just starting with online training, and not sure you're going to stick with it. Host your course on your own website, with a dedicated theme or plugin. If you're a Wordpress user, you have a choice of hundreds of themes and plugins. Themes include Sensei and Guru, and plugins start with LearnDash. and WPCourseware. Most of these have a one-time fee, but come with a need for some hands-on technical knowledge or a techie team member to be able to use them effectively. You can choose a retail platform, like Udemy so that you can sell your course to a marketplace of customers just as you sell your book on Amazon. Publishing to a marketplace is effective if you want to be supported by a large network, have a certain level of free marketing, and if you don’t mind adhering to their requirements for your course, however it can be restrictive in terms of pricing your course, and is usually a less innovative way to teach your students. It's a nice, easy place to start but be aware that marketplaces tend to push prices down so, just as I hope you do with your book, think of this as an entry-level access to your expertise. The retailers will usually just take a share of your revenue -- or rather, will pay you a cut in the same way you'd receive a royalty if you self-published your book to Amazon. The third choice, and our preferred option, is to host your training on a dedicated Learning Management System that integrates with your website, but is hosted separately. These usually come with a monthly fee but have the advantage of robust technology and are often easier to use than installing software on your own site. There are more choices for hosting than we could possibly list, so search around to see what is working now, and take your pick of one that's a fit for your wallet and your degree of comfort with the technology. Just like any service or product, your training needs to remain relevant. Keep the outcomes and the information current, particularly if you teach a technical subject. Technology moves on and you should adapt your course as it does. The best way to know when to do this, and how, is to solicit, and listen to, student feedback. Before going live with your course, do what you did with your book and have beta-students who can go through it and look out for technical glitches, proficiency faults, and comment on the general ease of use. Ask some previous clients, or put out a call to your email subscribers. You have a valuable asset to exchange for this feedback. And ask for feedback as students go through the course. Ongoing feedback is essential to creating your best training. Do this straight after someone completes a module or topic, while it's still fresh in their minds, than leaving it to the end of the course. You're more likely to get honest responses that you can use to evaluate that module and improve. Let users know that you welcome evaluation through emails, and make sure you respond to all critiques and enquiries – they will make your online course stronger, and a responsive teacher will give students confidence in your commitment, as well as giving them a better experience -- hopefully leading to outstanding reviews and testimonials. Online training isn't going away, and if you haven't dipped your toe into the water yet, then now may be the right moment to try. You have the content, you have expertise, and you have the passion to create an inspiring and comprehensive online training course. And a training course that will sell. Are you considering creating online training? We highly recommend it! But then again, if you love to write it might not be for you—always go your own way.